The Key Poses of Yoga offers a scientific approach to understanding the practice of hatha yoga. 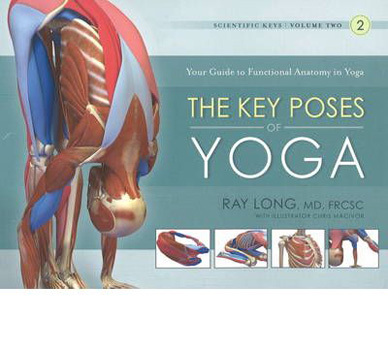 Through four-color, three-dimensional illustrations of major muscles, tendons, and ligaments, Ray Long describes the practice and benefits of hatha yoga. Specific anatomical and physiological descriptions highlight the agonist, antagonist, and synergist muscles that come into play with each pose. Volume two of the series illustrates the correct muscle use during key poses of hatha yoga. From beginners to experts, this book will become a constant companion.